Women and Children First is working to achieve an equitable world where all women, children and adolescents have good health and mothers and newborn babies no longer die from conditions that are treatable or preventable. We work in some of the world’s poorest communities in Asia and Africa to stop mothers and babies from dying during pregnancy, childbirth or in the first few days and months of life. 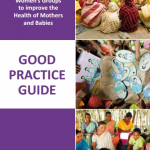 We do this through women’s groups which have been recommended by the World Health Organisation. Our work reduces a woman’s chance of dying due to pregnancy or childbirth by up to 50% and reduces the chances of newborn babies dying by 33%. 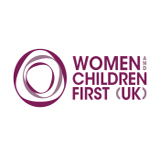 Women and Children First’s Mission is to improve reproductive, maternal, newborn, child and adolescent health where inequalities exist. Our contribution to sustainable development is achieved by empowering women and their wider communities and building the capacities of health care workers and decision-makers, to address the determinants of reproductive, maternal, newborn, child and adolescent health. Our activities – Women and Children First works in partnership with NGOs, governments and academic institutions to promote innovative, low cost solutions designed to reduce maternal and newborn mortality and increase wellbeing for women, girls and newborns. 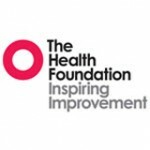 We develop and share best practice through extensive monitoring and evaluation of our work and disseminating lessons learned to health officials, policymakers, parliamentarians, other practitioners and advocates to ensure research findings are applied to policy and practice.